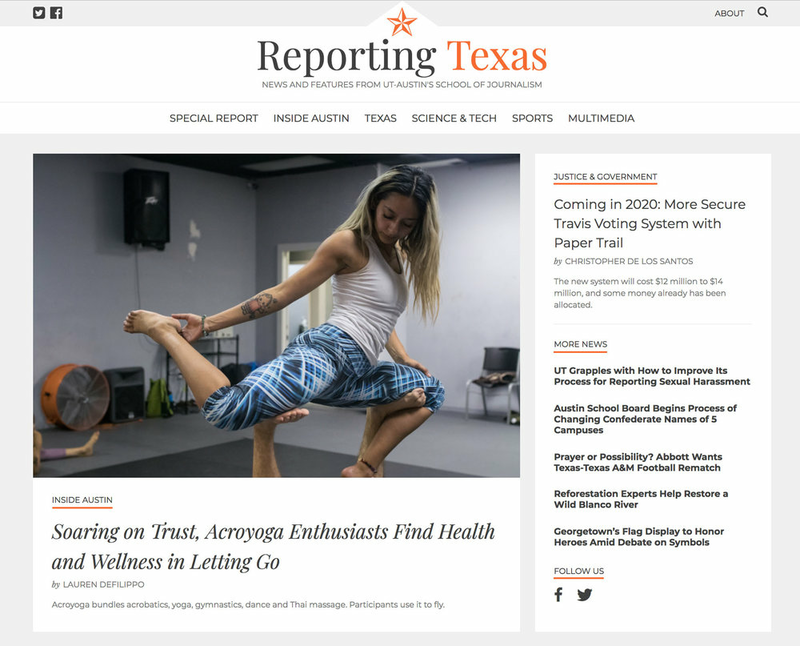 We're thrilled to be featured in this front-page article about the growing popularity of acroyoga in Austin written by Lauren Defilippo. CHECK IT OUT HERE. We featured on Fox 7 Austin with Jane Lonsdale this morning thanks to Jeremy Robinson of Austin Holistic Fitness. It was an honor to be featured alongside Acro for All, Freeflow Acro, Mark Taylor, and Morgan Malia to promote acroyoga in Austin. View our segment above and visit YOLO, TX to watch the full episode.